Call 732-788-3765 to schedule your first appointment. If you want to find quality hearing aids in Oakhurst, NJ, visit Miracle-Ear®. People throughout the nation come to our locations when they have trouble with their hearing because of our commitment to patient satisfaction. With us, you'll get the personalized touch of an independently owned and operated location. Miracle-Ear® is America's most recognized brand of hearing aids because we've developed some of the most advanced technology in the industry. Hearing aids with our GENIUS™ Technology include a wide range of exciting features, including Directional Focus, Wireless Windscreen, VoiceTarget 360, and HD2Sound. These innovations allow our patients to hear in a clear and natural way in all types of situations. Our center will proudly give you a free hearing test* to determine which of these options is best for you. All of our hearing solutions come with excellent customer service, a warranty,** and complimentary continuous care. You'll have peace of mind knowing your hearing aid will help improve your hearing in the long term. When you discover and experience the Miracle-Ear® advantage, you'll know why people throughout Oakhurst, Ocean Grove, and the surrounding areas come to us for hearing solutions. You can decide whether our products meet your needs by signing up for a 30-day, risk-free trial.† If you ever move, we have 1300 locations nationwide to provide checkups and service. Don't hesitate to call our hearing aid center today to set up an appointment. 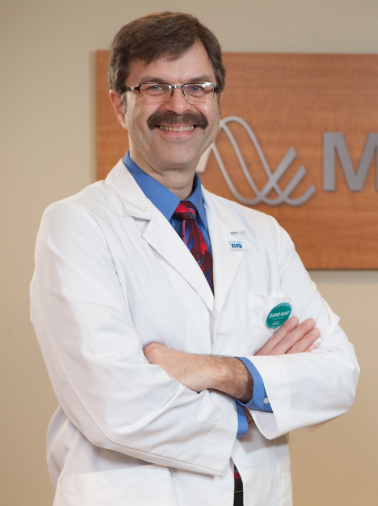 Duane has 1 year of experience as a Hearing Instrument Specialist with Miracle Ear. Duane is licensed in the State of New Jersey as a Hearing Instrument Specialist. Duane loves to see the smiles on our clients faces and listen to them tell us about all of the 'new' things they are hearing since we helped them.